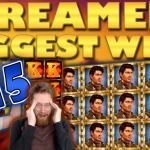 Time to take a look at the Casino Streamers Big Wins, week 24 of 2017. Or in other words, the best wins made from casino streamers from the 12th until the 18th of June 2017. 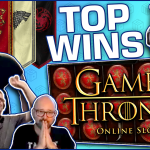 As always, only the most insane wins make our list. And last week saw a number of amazing hits. So we have epic bonuses and shocking base game wins, all for you to enjoy. Therefore we advise you to sit back and watch every single win, cause they are one better than the other. Let’s start with a big win on the all new Ivanhoe slot. 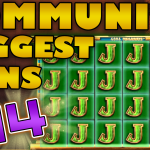 The game is quickly becoming a favorite among player and streamers, even more so, after NickSlots' big win last week. The slot streamer triggered the bonus on his first spin, during a £2 bet while playing the slot game at calzone casino (read the review here). A pretty profitable feature with the end result being a £682 win. The best base game hit last week goes udoughtly to Slotspinner. The slot streamer was playing the Extra Hot online Novomatic slot when he decided to raise the bet to €5. A lucky raise as the very next spin the screen filed with the lemon symbol giving a staggering €1000 win. You can find this slot machine along with any other Novomatic game at OVO casino. Another huge win, on a new slot game, by another casino streamer. This time it was Shirox who won big on the brand new Multifruit 81 online slot from Play’N Go. The game is very unique, without any bonus, but with a number of features which have extremely high potential. And while the streamer was spinning €2.5 bets a lucky spin with the best possible feature gave an astounding €1526 win. If you want to try this new online slot, you can play it, for real money, at LeoVegas online casino. Even though there is a long way to go before Christmas, that did not stop David from winning huge on the Secrets of Christmas slot machine. The casino streamer triggered the slot’s bonus, while playing €1.50 bets on Super Lenny casino. The viewers did their thing, picking the best features to accompany the bonus, and thanks to them the free spins gave a huge €561 total win. An early Christmas for our favorite Dutchman. Big bets are extremely fun, both, to play and to watch. More so, when they result in super epic wins. And nothing can illustrate that better than Casinomon’s huge hit, on a €10 bet, last week. Activating the bonus spins feature on the Elements slot game, the streamer had an amazing round with a total €1000 win at the end. If you want to try the Elements online slot, you can play it in almost any online casino, including Winning Room Casino. Another streamer who was especially lucky, last week, was LetsGiveItASpin. The slot streamer was playing SEK 45 bets on the popular Montezuma slot game when he got the bonus. What happened next you have to see to believe. We will just say, that getting a re-trigger with a 10x multiplier is particularly rare. But getting more than one, that’s down right impossible. Play the popular slot, for real money, on MrGreen casino. Or any other major online casino. We end it with Rex Borgersen and his mega win on the Knight’s Life online slot, from Merkur. By now, we are all familiar with the extremely high potential of Merkur, powered, slot games. 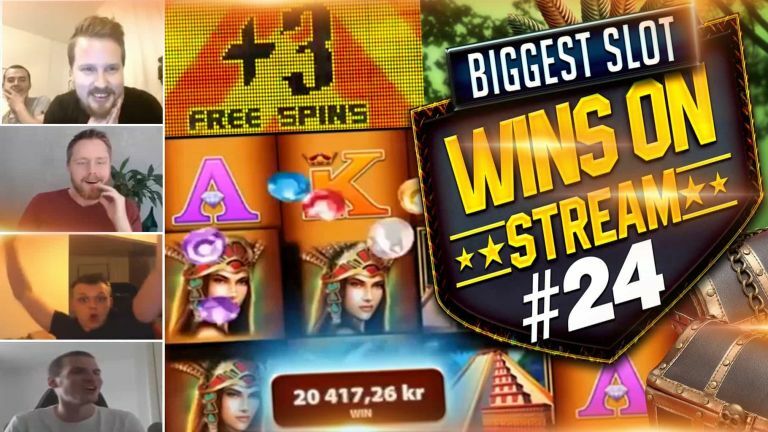 Every week, streamers and viewers alike share breathtaking wins on these slots. And last week was no different. Rex was playing €2.5 bets on Casumo casino, when he got the bonus spins. 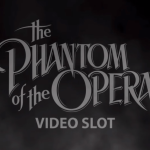 The slot can pay massive, if the player is lucky enough to re-trigger the free spins. And Rex was lucky, getting 10 more extra spins. The result? - An unreal €4200 win. No wonder everybody loves Merkur slot games. You'll find more clips like these on the official CasinoGround’s YouTube channel. 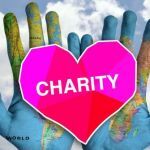 LetsGiveItASpin Charity Donation - Vote Now!